Maybank sees growth for Southeast Asia: Maybank, Malaysia’s largest lending bank, plans to expand in South East Asia, with a presence in every Asean nation by 2015. Currently, it has branches in 14 nations around Asia. In a recent interview with Wall Street Journal, Maybank’s chief executive, Abdul Wahid Omar, the bank is trying to take advantage of the region. According to Omar, South East Asia has ‘very low banking penetration’, is projected to grow at a faster rate than developed global economies and has a dearth of natural resources. He said growing interregional trade is also a significant factor for the region’s accelerated growth. Austere Compliance Measures Pending for U.S. Taxpayers:Our friends at Invest Offshore, in a recent newsletter explained the implications of FATCA, U.S. Foreign Account Tax Compliance Act (FATCA), for both American and international investors with offshore interests. The act will require financial institutions abroad to report financial information about U.S. residents directly to the IRS. This includes bank accounts, trusts, companies in which U.S. taxpayers hold a substantial ownership, and insurance schemes. The IRS has not released a final document on FATCA, but it is scheduled to take affect, starting 2013. Singapore: Casinos Are For Tourists: Casinos on Singapore’s island resort Sentosa, and it’s grandest hotel structure, Marina Bay Sands, are impacting society, so much so that restrictions of advertisements have been sanctioned on the casinos. A statement put out by the Acting Minister for Community Development, Youth and Sports, Chan Chun Sing, said the casinos are ‘tourist products’ and the revised rules were enacted, so ‘that there is no targeting to our domestic market,” he said in the statement. The change means all promotional materials must now obtain the ministry’s approval, what used to be granted by the Casino Regulatory Authority. New Lao Airlines service to Vientiane completes Changi Airport’s ASEAN network: Lao Airlines has arrived at Singapore Changi airports, the first airline to make available direct flights between Singapore to Vientiane. According to travel reports, travel between both locations has grown steadily over five years. The direct line is planned to increase tourism travel between both countries. How fast can Singapore reach sustainability? : Singapore’s Building and Construction Authority are encouraging companies to explore sustainable construction building and resources. Singapore’s goals are to work toward zero-landfill and reducing construction materials, as well as to build local technological capabilities. Asia is still behind Europe and U.S. in terms of sustainability measures, technical knowledge and contribution of sustainable construction. Singapore’s focuses for the upcoming business year will be in cloud computing and electricity. Currently, business payments for cloud computing services will count as investment in automation equipment, and a study has been prepared for importing electricity into Singapore to diversify its power source portfolio. Singapore’s unemployment rate unexpectedly fell last quarter after companies in the services and construction industries increased hiring. The current resting unemployment rate is 2%. 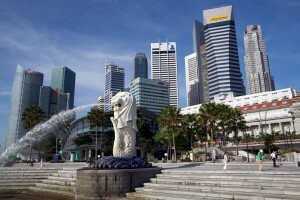 Singapore, ranked by the World Bank as the easiest place to do business, has cut taxes in recent years to encourage investment and companies have hired hundreds of thousands of foreigners to fill positions. Singapore’s economy expanded 14.5 percent last year, boosted by two new casino resorts. Assets under management in Singapore have risen fivefold to $1.2 trillion since 2001. The city-state has the highest proportion of millionaires in the world. Singapore is also considering increasing penalties and enforcement against money laundering and terrorist financing. In March, it was criticized in a U.S. State Department report as being vulnerable to money launderers. Europe’s woes hit ships: According to Wall Street Jouranl reports, the world’s largest container shipping companies, Maersk Line and rival Orient Overseas (International) Ltd., will be announcing next week cuts in shipping volume in 2012, with capacity on Asia-to-Europe routes reduced. The shipping industry depicts the strength of the global economy, because it reflects international trade volume. A slight rebound in 2010 gave false promise of a upward trend. But with current economic doubts in Europe, for many this is an indicator of euro-zone debt disrupting international trade. Popular Hong Kong Jeweler Opening 2nd Largest IPO this year: The Hong Kong jewelry retailer Chow Tai Fook is opening an initial public offering in December to raise $3 billion. This will be the second-largest amount raised through an IPO, after Glencorp’s dual listing for $10 billion in Hong Kong and London in May. Irish drug exports set to fall by billions: Expiring drug patents may mean the strength of Ireland’s drugs industry may turn into a weakness. The country is still under austerity measures in a post-IMF bailout. Sales totalling more than $26 billion will decline by more than half as their patents expire. According to a Bloomberg report, five of the world’s top-selling dozen medicines, ‘blockbuster drugs’, are produced in Ireland, including Lipitor, Viagra, Botox, Zyprexa, and Singulair. Ireland’s 12.5% corporate tax rate attracted many American corporations, most notably the pharmaceutical giants Pfizer, Merck & Co., and Eli Lilly. 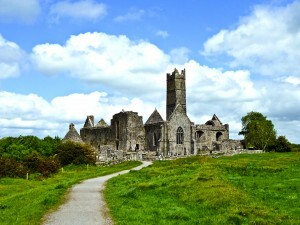 Ireland grew as an attractive location for corporations seeking tax breaks and looking to break into European markets. DUBLIN—Irish Prime Minister Enda Kenny dismissed suggestions that Ireland’s favorable tax rate is the only thing that attracts global corporations to the country, and said his government has made technology a key part of the bailed-out nation’s efforts to restore long-term growth. But he also acknowledged that simply attracting overseas companies was not of itself a strategy for growth and sought to distance himself from previous administrations. Ireland’s corporation tax, at 12.5%, is one of the lowest in the European Union. Only Bulgaria and Cyprus have lower rates. But Mr. Kenny denied that was the reason Ireland had been successful in attracting companies such as Facebook, Google, Microsoft and Twitter, all of which head European operations out of Ireland. A dispute over levies that mostly affected migrant workers at small workshops sparked violence this week in the Zhejiang province township of Zhili, 80 miles west of Shanghai in the city of Huzhou. The governing officials of this town that specializes in making children’s wear said Friday it will retract a tax that sparked riots this week, an effort to quell local discontent that had prompted authorities to fill the town’s streets with police. 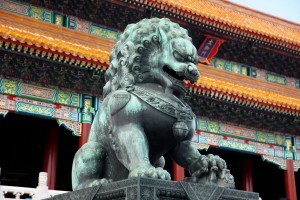 China’s economy is slowing and the Zhili government’s pullback on tax levies reflects a strategy Beijing is increasingly likely to take to soften pain of the deceleration, according to analysts. As of October 15, a new law in China requires foreign workers and their employers to contribute to a social security fund. The new system will bring a social net to China’s citizens, but some worry that this will impede international skilled labor from overseas in China, but officials believe the tax will provide a safety net for foreign employees. Officials say the money collected from the 200,000+ foreign employees in China is insignificant to the system overall.